When we decided to have a pool constructed at our home in Middle Park, we were made aware of Rogers Pools by some friends who had their pool build by them a few years earlier and were very happy with the results. Peter Rogers of Rogers Pools came over to discuss our wants and put together a design that we fell in love with straight away. We were looking for a pool builder for a particularly challenging site on a Brisbane River property. 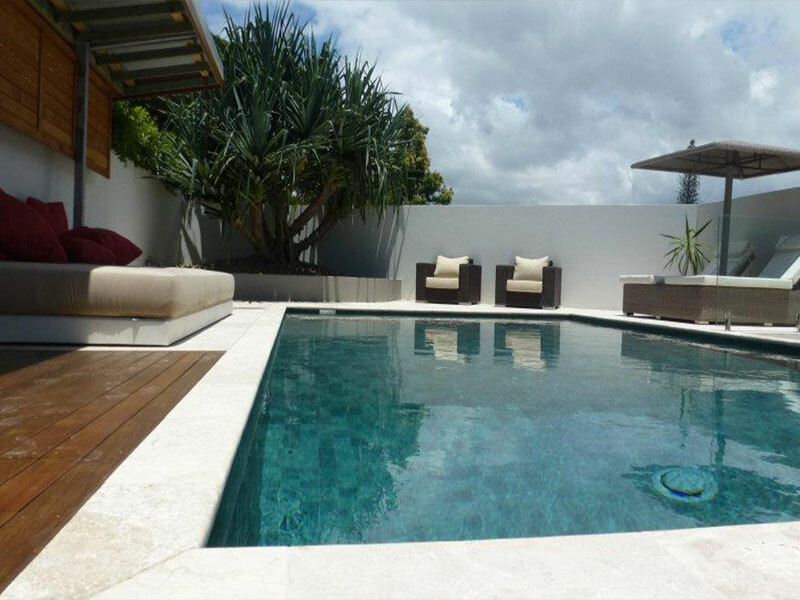 Rogers Pools submitted a competitive and comprehensive quotation.We wanted a company that was capable and experienced, as we had contracted a number of pool builders over the years for different projects. Unlike some of our previous experiences, Rogers Pools fulfilled all our expectations. As a house builder it is important we engage subcontractors who provide a quality product. Rogers Pools is one company we use on a regular basis for that very reason. I have such faith in them, I also had them construct the pool at my own residence. Never shying away from a bit of hard work, we're experienced in finding a solution to suit your site and budget. Located at Middle Park QLD 4073 Australia. 2016 © ROGERS POOLS, ALL RIGHTS RESERVED. WEB STRATEGY BY ADBUZZ AUSTRALIA.